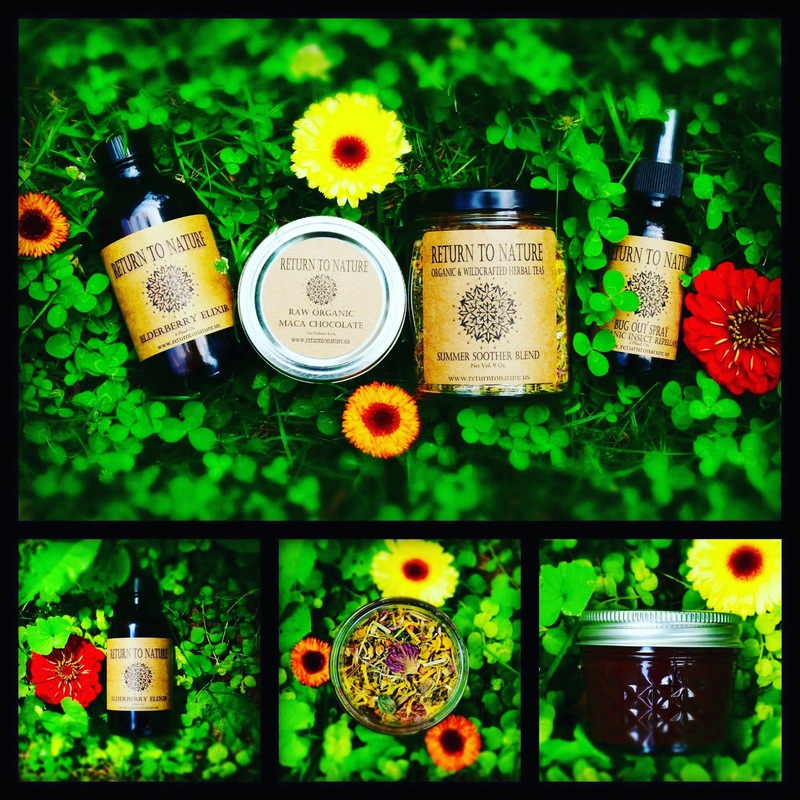 Each package will be carefully and lovingly handmade to order with prayer and the healing power of plant magic! Price: $57.00 (Includes $7 USPS priority mail shipping) which includes our 9 oz. Summer Soother Tea Blend, 2 oz. “Bug Out” Spray – Organic Insect Repellent, and our 4 oz. Raw Organic Maca Chocolate, and Our 4 oz. Elderberry Elixir. To order send $57 total via PayPal to Dan@returntonature.us. Please include your shipping address in the notes section so we know where to send it! Only 8 of these limited edition packages are available…don’t miss out on the magic!! Please visit our online herbal apothecary and bee in touch for custom requests!